However, it’s all well and good to ‘make the decision’ – we can make any decision. You can decide something right now – whether those plans and decisions turn into reality? That all depends on the paths you take and your actions to come. 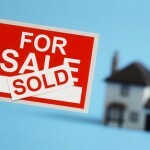 Making the decision to buy a home? It’s not going to be a reality without a great deal of time, effort, cash and research. That’s the stone cold truth when it comes to almost anything – let alone buying a home. What’s more, buying a home is a huge lifestyle choice and a massive financial responsibility and commitment. While banks should do their due diligence and vet mortgage candidates – this isn’t always the case, and many mortgages can be a huge burden on people if their situations change rapidly. Failing to meet mortgage repayments can lead to a complete collapse in regards to your credit rating. Buying a home isn’t just stressful – it’s an enormous commitment and one you need to be sure you can keep before you grab a pen and sign on the dotted line that commits you to monthly repayments which you might not be able to afford easily. 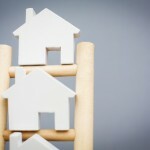 Can home ownership be a reality? Indeed – in fact, it might never be a better time to buy than the foreseeable future. House prices are steady, and they are being regularly built. 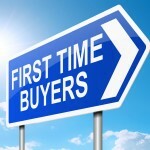 For the first-time home owner, this means that there has never been more help available when it comes to buying a home. The Government does want to see you into a home and there are plenty of schemes available in some countries to help boost any savings on a down-payment or deposit. The more people in homes? The more tax being paid on that home and that purchase – but still, the help might be there if you enquire. However, to make home ownership a reality, you’re going to need cash. A lot of it. Home ownership is not going to be cheap, and the hardest part of it all comes beforehand. Before you even own the home, you’ll need to stump up some major cash in the form of a down payment, or a deposit. Why do you have to make a down payment? It is always standard procedure when buying a home, and for a good reason! Why? Well – the answer is simple, for security. It protects the lender and also safeguards the economy. You see, when loans are offered without down payments, the lender is risking all of their cash, and if a repayment is not made, the lender stands to lose out. If repayments are not made, no interest is accrued and while the lender might be able to sue – it usually isn’t worth it. Not with a home on the line anyway. The lender can start the foreclosure process to take occupation of the home. 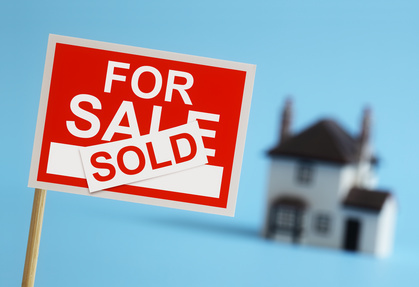 This takes time and the lender will usually look to sell the property to make back their loss on the loan to the former homeowner, but this can sell at a price that means the lender makes a net loss. 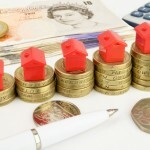 What happens when a lot of homes are repossessed and sold on at big losses? The market becomes unstable and banks lose money – this is a true crisis and the reason why you might find it harder to own a home is because lenders are taking the safeguarding of the economy as well as their own lending responsibilities a lot more serious. So, when you apply for a mortgage, you’ll need to make a down payment of anything from five to twenty percent of the cost of the property. This secures the loan and provides security for the lender. A downpayment has a lot of benefits for a buyer though, if you can save up more cash than needed, you can reduce your monthly repayments and the total cost of the property. This house loan calculator can show you the impact of that. You need to actually get a downpayment to make homeownership happen, and that requires one thing – saving. Unless you inherit cash or come into money one way, it is going to be difficult to build a down payment sizeable enough to work as a deposit. Saving is hard work and requires minor sacrifices in the present day to ensure financial health in the future. If you want to own a home, saving is a reality you’ll have to confront. 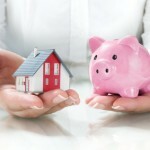 Saving up for a down payment on your home? It can be seriously stressful, it won’t be fun, and it can take a long time – but you must keep the big picture in sight at all times. Saving? It means restriction – you need to budget and create as big of a gap as you can between your monthly income and your monthly expenditure as you can so that may build as big of a home ownership fund as possible. If you want to get serious about owning a home, you need to start saving as much as you can right away. That means in the first instance you need to track your spend. Like one might choose to count calories to live healthier, you will need to budget to build a healthy stack of cash for your down payment. This does mean taking into account every single thing that you buy and recording it. Looking at the raw data and price points of the items and services that you buy can show you patterns and areas where you can cut down. Say, for instance, that you buy a coffee for four dollars each and every single morning. Over the course of the year, that’s going to be four multiplied by three-hundred and sixty-five. Want to know how much that is over the course of an entire year? And what that adds up to after the math it adds up to one-thousand, four-hundred, and sixty dollars. $1460. If you’re looking to save up a down payment of $20,000 that represents ten percent of a $200,000 property, then you would accrue nearly ten percent of that down payment simply by cutting out coffee every day, and that’s an incredibly minor ordeal! We can get free coffee at work, or find ways to make it cheaper. If you want your coffee, you can find cost saving measures – like brewing from home -that would save you nearly half of that $1460 sum. That’s a minor area as well, what if you can cut down on your mobile phone bill to save $5 a month, or your gym bill to save $30 a month? What if you can cook with cheaper ingredients to save you hundreds over the course of a year? This will need to be the type of thing you consider constantly – what am I spending and how can I change that to give me more money to use for a down payment? So, once you’ve done most of the work and saved up a sizeable down payment, you will need to use that down payment to give you information. The size of your down payment will tell you what your budget is for property ownership. Your down payment will make up five to twenty percent of the property price, and this should be taken into account when searching for a home. Ideally, you want to down payment to be as a large as possible to make up a higher proportion of a percentage of the total property price to improve your chances of being accepted for a mortgage. That allows you to find a suitable home and the down payment will let you know what you can afford. 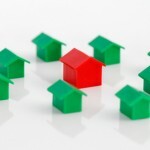 So, when you are looking for a home – you need to consider a number of things. Firstly – is it liveable and right for you? Has it got enough bedrooms for your family? Is it in a stable condition? Visit a property and if you are moving ahead with a purchase, ensure a full inspection is completed to highlight any issues that could be damning. Also, there are a lot of other fees involved with purchasing a home – insurance and all sorts. Make sure you save a smaller set of funds to the side to deal with these fees, but they could be folded into your mortgage.